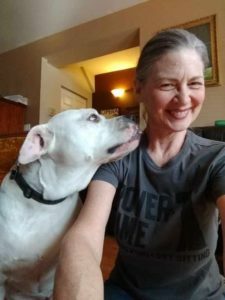 Rover-Time is delighted and proud to employ a team of dog walkers based locally in Chicago that are passionate about providing amazing care for their clients. The past few years has seen the rise of Rover and Wag on-demand dog walking apps, determined to provide immediate service that questions the level of professionalism, training, and safety not to mention a lack of personalization for the paying customer. 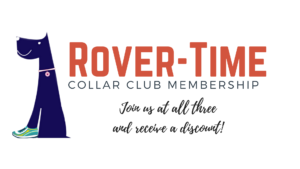 Rover-Time loves providing its clients with a consistent dog walker so everyone can build a routine and trust with animals. Our team is defined by a company culture and values, which our most important differentiator from local and online competition. 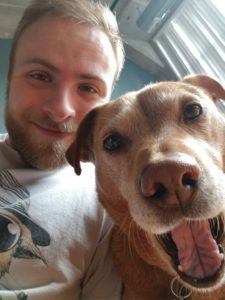 I thought it would be fun to ask my dog walking team to share their professional knowledge on providing the best possible dog walk and as their Team Manager, I was impressed with their responses! How do you define a good walk with a dog? How do you keep a dog focused on the trail? What are some your key best practices while walking a dog? Here’s my favorite thing to teach others: As a general rule, remember that dogs live much more in the moment we do. Considering a dog’s quirks that creates their unique personality is a really simple way to have a successful walk. Get to know what distracts them. Figure out what scares them. Have a deep understanding of what makes them reactive? I make a point to always scan my surroundings, noting anything that will pull a dog’s focus from me so we can avoid it, or work through the distraction together. Keeping a dog close to you and/or using treats can be helpful to reinforce ideal reactions to stimuli on walks. Are you looking for a dog walker? We’re here to help! Get in touch! The purpose of Rover-Time’s dog walking service and Collar Club is to create a shared space to exercise and socialize our dogs. We all know how important it is to be a responsible dog owner to raise confident, stable animals. We welcome all types of pups, and encourage pet parents who are working on reactivity and socialization issues to join us! Our dogs are always in training, and Collar Club will strive to be a constructive experience for everyone, regardless of what issues you’re working through. If you have a reactive dog and you’ve laid down the foundation for your leash work in a group class, a great way to continue working on your skills and exposing your dog to others, is to join a group like Collar Club. It’s a terrific opportunity for any dog, reactive or not, to socialize with canine pals. Off-leash play isn’t the only game in town when it comes to socialization. Side by side walks, on leash, and training classes are fantastic social activities for your dog too! JOIN US FOR COLLAR CLUB! At the walks we’ll have pet professionals, like Vicky, Aaron, and myself, on hand to help you problem solve your dog walking headaches. You’ll also meet new friends and dog-loving neighbors! Katie Sullivan is the Team Manager at Rover-Time and has been with the company since 2015. She lives in Ravenswood with her two roommates and a pittie named Gretchen. A Michigan transplant, she has been in Chicago for 4 years and is so happy to be here. She enjoys being involved in occasional theatrical productions and drinking oaky chardonnays.